Artfully designed in Europe by NoaPoa, our Tutus feature petals, made with gauzy tulle layers and sparkly trimmings. These fun favorites are available in a variety of colors including pink, purple, aqua, royal, lime, white and other multi-color combinations! Choose from 3 sizes! Soft, stretchy, silver elastic waistband comes on and off with ease. 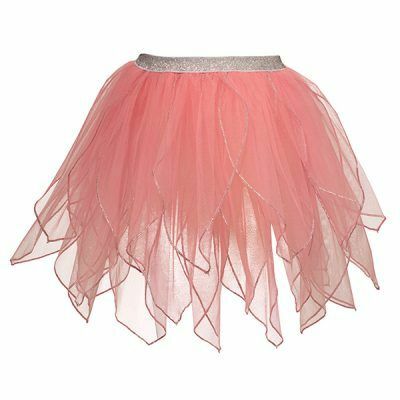 Perfect for pretend play, dress-up, and dance! Pair our tutus with Dreamy Dress-Ups wings and masks!